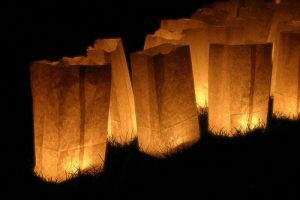 Each year, during the holiday season, The I’On Trust coordinates a fundraising project, The Giving Lights of I’On, which sells luminary kits to raise money for a local non-profit. The fundraiser culminates with neighbors lining the street in front of their homes with luminaries and lighting them on the same night during the Holiday Festival of Giving. This year’s recipient of the proceeds of The Giving Lights is Yo Art!. Yo Art enhances everyday classroom curriculum with media arts programs designed to spark students’ curiosity and teach real-world skills. Their projects encourage learning through discovery and discipline, improvisation and technique, and provide a fertile ground for creative thought through coding, photography, filmmaking, and design. 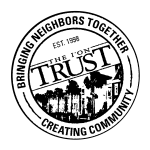 Yo Art serves public school students grades 5 through 8 in the Tri-County area. To learn more about Yo Art, please visit their website, yoartinc.org. 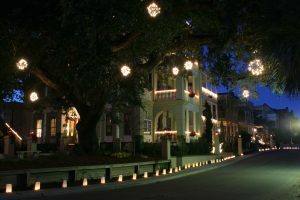 The Giving Lights culminates with neighbors lining the streets in front of their homes with lit luminaries during the Holiday Festival.